Ezcookbook, the idea behind the concept is to create and develop recipes that are easily achievable, delicious and guaranteed to work - make cooking simple. Ezcookbook is started by WeRSahm on Feb 2012, yes that's how we describe our-self. WeRSahm - "We are stay at home mums" based at Singapore. We are not experts like chefs but one among you; with love, patience, innovations made us more creative which took us to this new world ezcookbook. We have tried to explore the culinary art from books, articles, media, friends and family. All the recipes presented here are tried in our kitchen for twice or thrice before publishing, so you can rely on us. We are two friends, neighbors and moms who came to know each other in 2010. 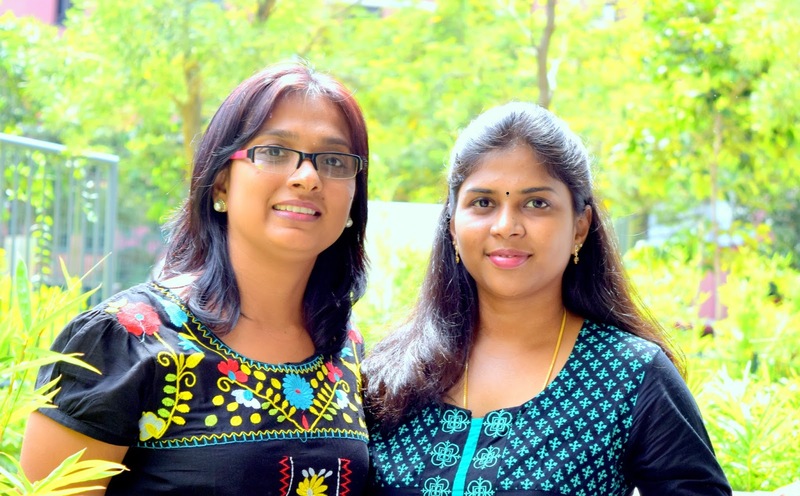 We are from different states of India and currently resides in SG. Everyday we use to chat with each other, came to know we are alike in thinking, character, attitude and same education background. Though Gayathri doesn't speak Gujarati and Ishita doesn't understand Telugu, still we got a common language to speak that is Food. Yes food made us more close to each other and platformed for a new venture Ezcookbook. We initially started to document our recipes to share with each other, later thought of why don't we share with others to benefit in everyday cooking and here we are! We both are Indian vegetarian so here you will find only Vegetarian Recipes. Sorry Non-Vegetarians!!! Off course Eggs are used sparingly in some recipes. As we started, our friends Subhashini Anand & Jyothi Kathir who are also a good cook, showed interest to write recipes for Ezcookbook. Thank you Subha and Jyothi for your efforts and sending recipes to us. You can find their recipes in "Guest Corner". Cooking, for us, is one of life's greatest pleasure. It is not only necessary to fuel our body but for us it exercises our creativity, imaginations, patience and fascinates to experiment it. The science behind cooking can be understandable only through experience. How to knead a perfect dough, or to grasp why certain flavors works well when combined, or to get perfect aroma of cooking food is to be gained once become a good cook. Women bind the house by ruling the kitchen…"Cooking is no more a mundane activity with Ezcookbook. We will present recipes which break conventional cooking. Place your trust on us and relish the new world of taste. The secret of good recipe is to cook from the heart with loads of love to be palatable". Explore Ezcookbook at your fingertips and experience it in your kitchen. 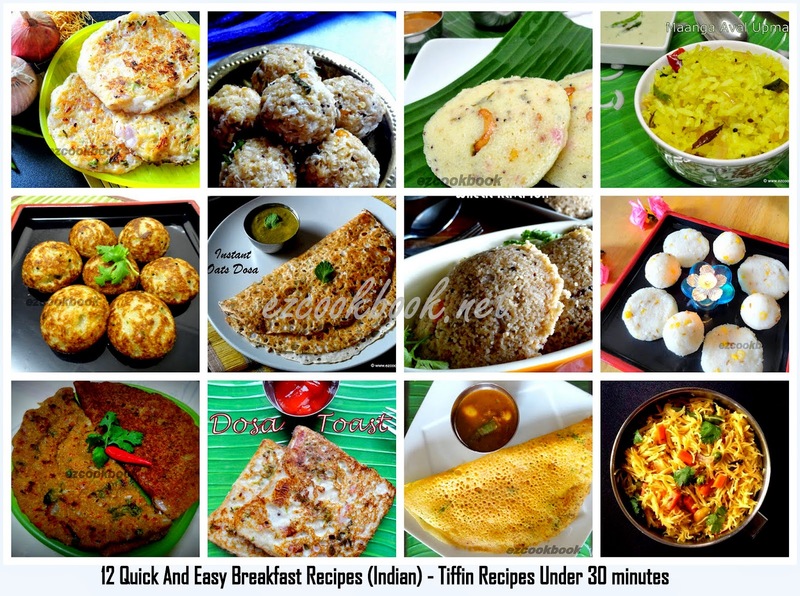 Today Ezcookbook is with 400+ recipes which covers all categories from starter till dessert. We are gratified to know how capable we are today to cook many varieties as well as various cuisine. Yes, Its all possible just because of constant support and encouragement from family, friends and mainly because of viewers. Nice introduction. Loved to know about you guys. nice to know about you all.. interesting blog.. i love it.. have nominated it for an award .. please check my blog and you will know ither details... happy blogging.. looking forward to more recipes!! Excellent work dears...Keep it up!!!! Hi Girls! Nice blog and good work. glad to follow you. Do visit my space when you find time. Greta team work girls and thanks for kind words on my space. Very nice blog. Welcome to the blogging world and keep up the good work. You do have a wonderful blog with wow recipes!!!!!!!! !Group work always works with combined ideas of editing and posting recipes on the blog. Happy blogging!!!!!! !Do visit my blog. I am prathiba from "The indian food court". The blog has a face book page too.Good luck!!!! wonderful idea:)keep going!i am a new food blogger.will u support me? Wonderful team work. Happy blogging.Glad, if you stop by mine too. Just came across ur blog :) glad to know you guys are in singapore,..happy blogging,..
Great Work Ishita, Brip and Team. Keep it up.